Welcome to Paul Parrott locksmiths your professional local response locksmith within the hour, covering your area. This way you've always got it to hand for yourself, friend, neighbour, or relative who may need our services. The short while it takes to put this number on your phone rather than calling a national company or numbers out the directories you will have already saved money if you need me.... guaranteed. You get through direct to speak with me Paul Parrott the locksmith and not a call centre. We are a local family run business, providing a credible, quality, trustworthy, ethical cost effective service. Whether you're locked out and need an emergency 24hr locksmith, lost your keys, moving house or need to change or upgrade the security of your home, I will respond to your needs with efficiency, speed and professionalism. 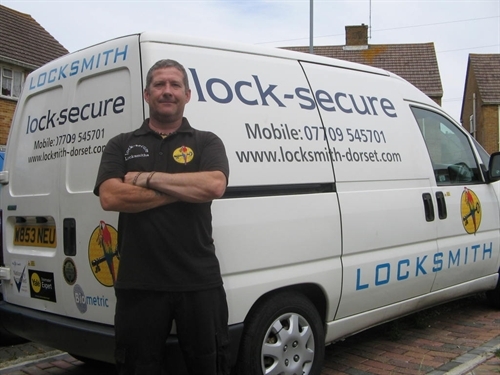 Paul Parrott locksmith I pride myself on quality workmanship which I know is second to none. My success depends on word of mouth from you, my satisfied customer.